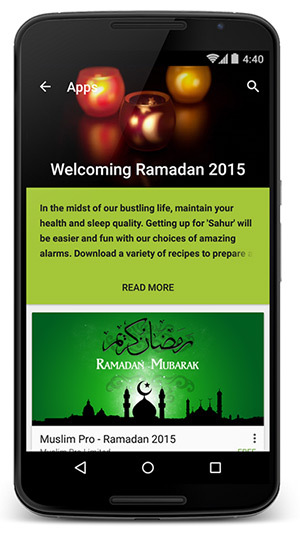 Fasting month has started and in order to stay informed on sunrise and sunset times, Google launched ‘My Ramadan Companion’ to assist you. Apart from time info, the site also displays recipes, local restaurant listings, YouTube content and other items in a card-based format for easy browsing. 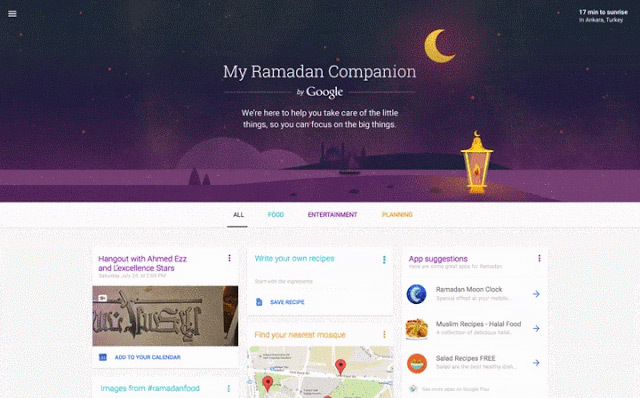 To help you get the most out of Ramadan, we’ve launched My Ramadan Companion (g.co/Ramadan), which gives you customized and locally relevant information, tips, and other content highlighting the richness of what the web can offer during Ramadan around you. You can find out the sunset time in your location and plan your day accordingly, check out the traffic in your area, navigate to the closest charity Iftar, find and share recipes, and enjoy Ramadan content on YouTube ranging from drama series and comedy sketches and health tips to stay fit during the 30 days of fasting.